WASHINGTON (CN) – Demanding tougher U.S. sanctions against the country he once served, Thae Yong-ho, a former North Korean embassy deputy chief in the United Kingdom, told Congress Wednesday that even the sound of an impending U.S. attack on the peninsula would immediately cause dictator Kim Jong Un to retaliate against neighboring South Korea. 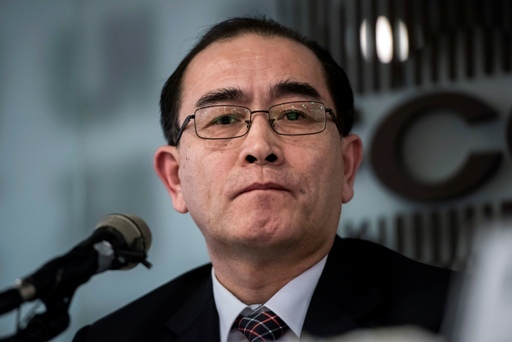 Yong-ho offered his testimony to the House Foreign Affairs Committee telling lawmakers if the regime is physically provoked, the extent of casualties would be unknown. At 14, Yong-ho was sent to China for schooling. Once finished, he began a career in diplomacy, where the North Korean government permitted him to work in China, Denmark, Sweden and the UK. It lead him to live a “ceaseless double-life,” he said. Yong-ho called for tougher economic sanctions and concerted U.S. effort. to disseminate material educating North Koreans to the truth. The country is a system built on classification, he said, its population asked to divide itself. Even high ranking officials are restricted to living in certain apartments separated by rank. “We have to tell them how stupid a system that is. It is similar to a feudal class system of several hundred years ago. It is not paradise. It is not a socialist welfare system. It is the worst inhuman system in human history,” Yong-ho said. Rep. Eliot Engel, D-New York, expressed concern over the Trump administration’s strategy with the regime. “We have a president and administration undermining diplomacy and hampering our ability to lead. The strategy of key cabinet officials’ calls for multilateral diplomatic and economic pressures and shows of force are aimed at slowing North Korea’s advances. But I’m not sure we’ve seen evidence of that,” Engel said. The inflammatory rhetoric favored by both President Trump and Un has “thrown fuel on the fire and escalated the risk of conflict,” he added, before going on to note that nearly a year into the presidency, critical State Department posts tasked with addressing these issues remain vacant. These include posts for the assistant secretary of state for East Asia, secretary of arms control and international security and the ambassador to South Korea. “I worry what may happen as the president travels to Asia this week,” Engel said. Trump’s tour through Asia will include a high profile visit with China president Xi Jinping where trade and North Korea will be a priority. U.S. relations with the Chinese government will continue to be tested as well, committee Chairman Ed Royce, R-Calif., said. He suggested this will continue to be the case so long as the China fails to stop the flow of smuggling into North Korea. Yong-ho said he believes the administration is on the right track n terms of its China policy, but nevertheless said it falls short. “We should increase sanctions, more and constant sanctions, while we wait to see the effectiveness of current ones. North Korea is used to this. They have a certain amount of stockpiles of war; we have to wait until they open its door for war stockpiles and [when they do], then we may see how long they can sustain themselves,” he said.